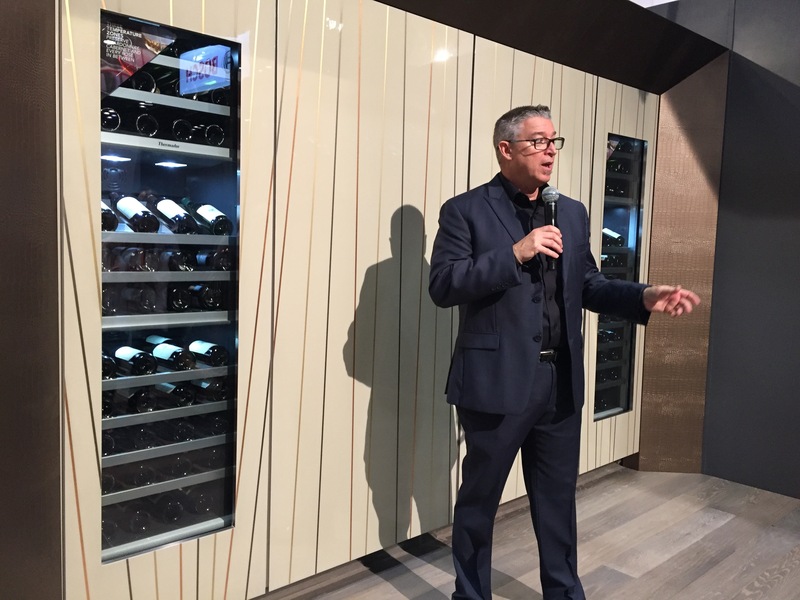 Thermador had a huge display at KBIS and we were treated to a great tour of some of their fantastic new offerings. 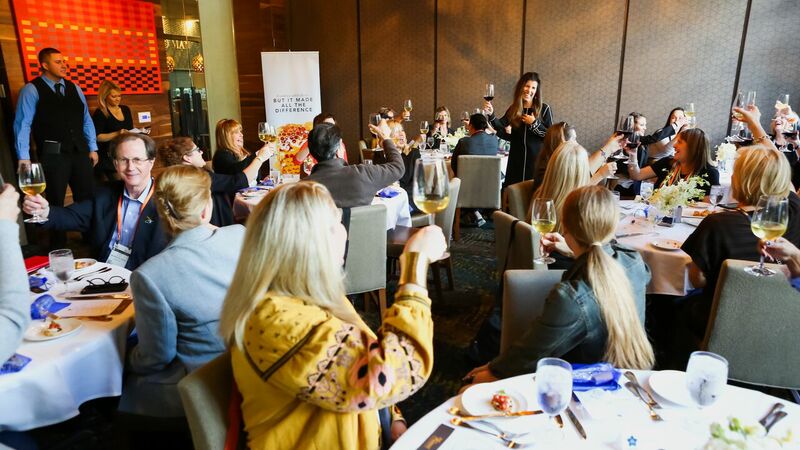 On the truly luxe and large scale is the Freedom® Collection Culinary Preservation line. 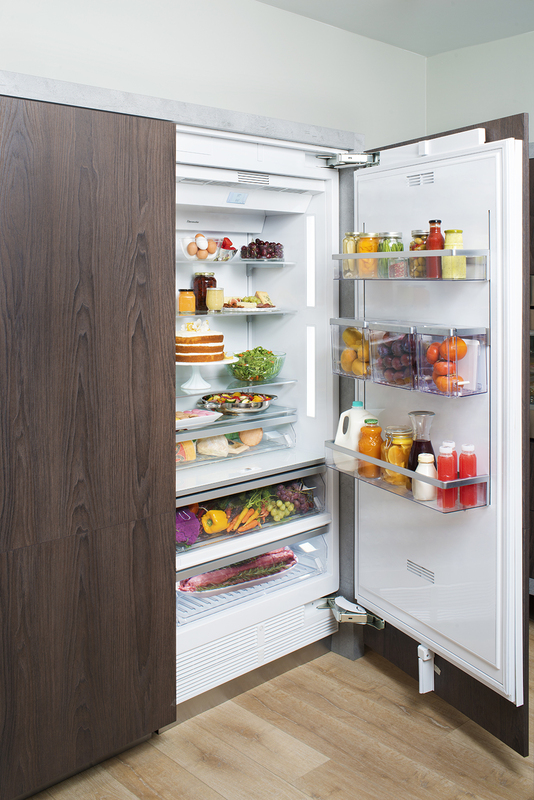 Thermador originated the built-in modular refrigeration concept more than a decade ago – it has become the next generation of refrigeration. 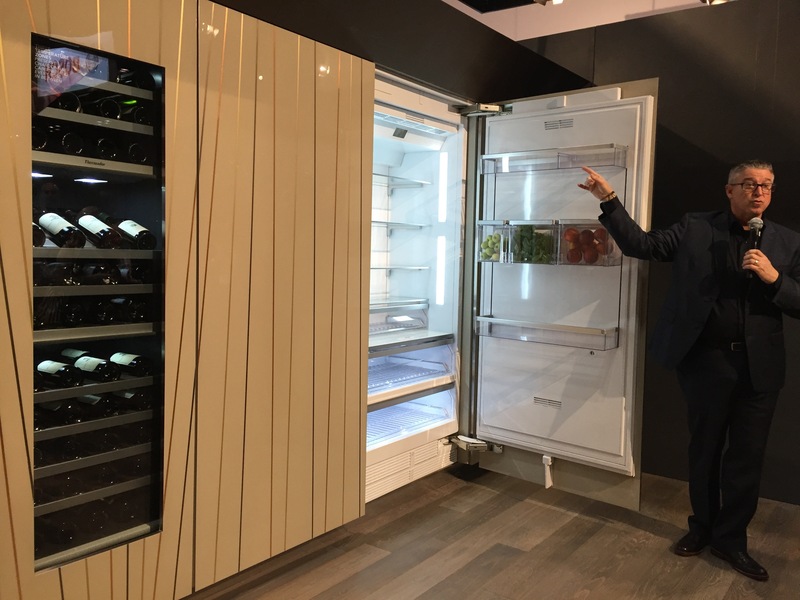 The 2017 roll-out of the Freedom® Collection Culinary Preservation line showcases an amazing array of refrigerator, freezer and wine unit combinations that allow for flexibility and personalization in the kitchen – and throughout the home. The ThermaFresh System in the refrigerator drawers provides optimal humidity and temperature control to extend the freshness of meat and produce. Product photos furnished by Thermador. FreeFlow® Cold Air System allows items on door shelves to remain cold and quickly return to the interior temperature once the door is closed. 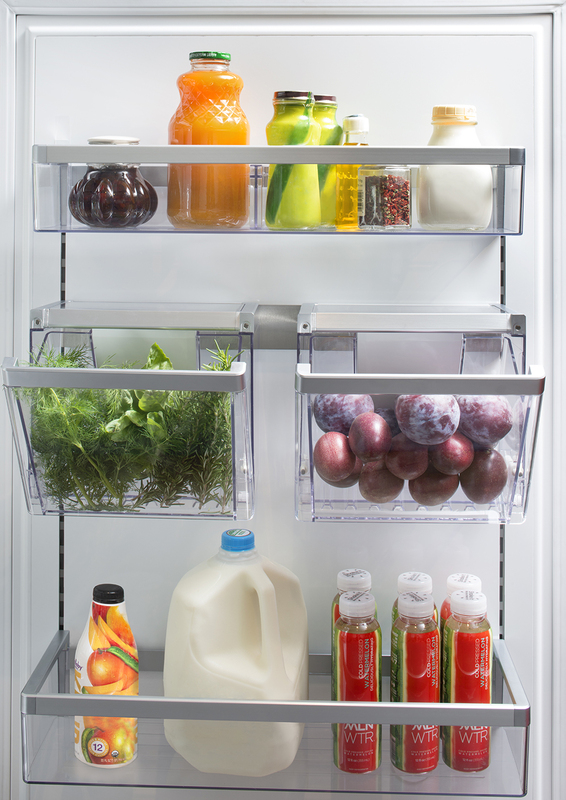 This system comes with ncredible personalization possibilities with over 23 customizable models, including a new 36” refrigerator, 36” freezer and a 23 1⁄2” refrigerator that, when matched with an 18” or 24” freezer, will fill a pre-existing 42” or 48” cut-out. 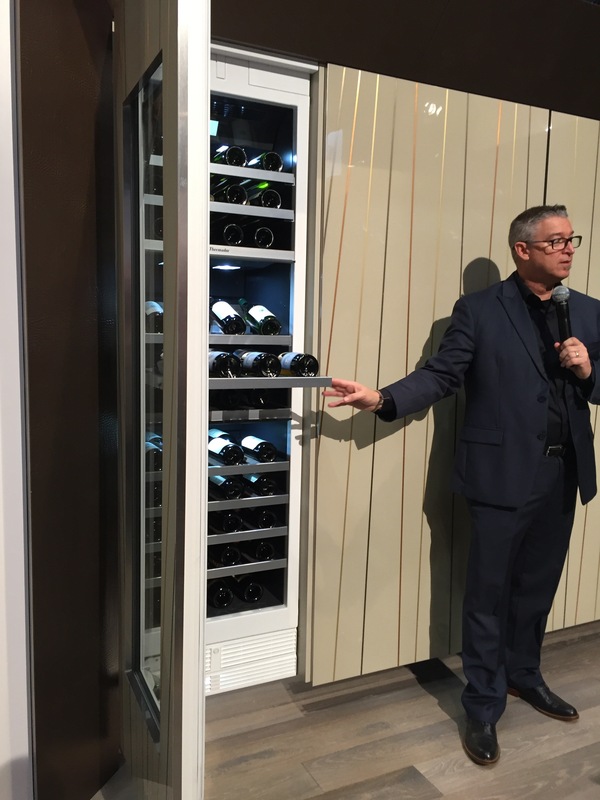 While this style is more modern than I personally like, I love the wine fridges that offered different temp zones. This would be equally beautiful in a more traditional setting. 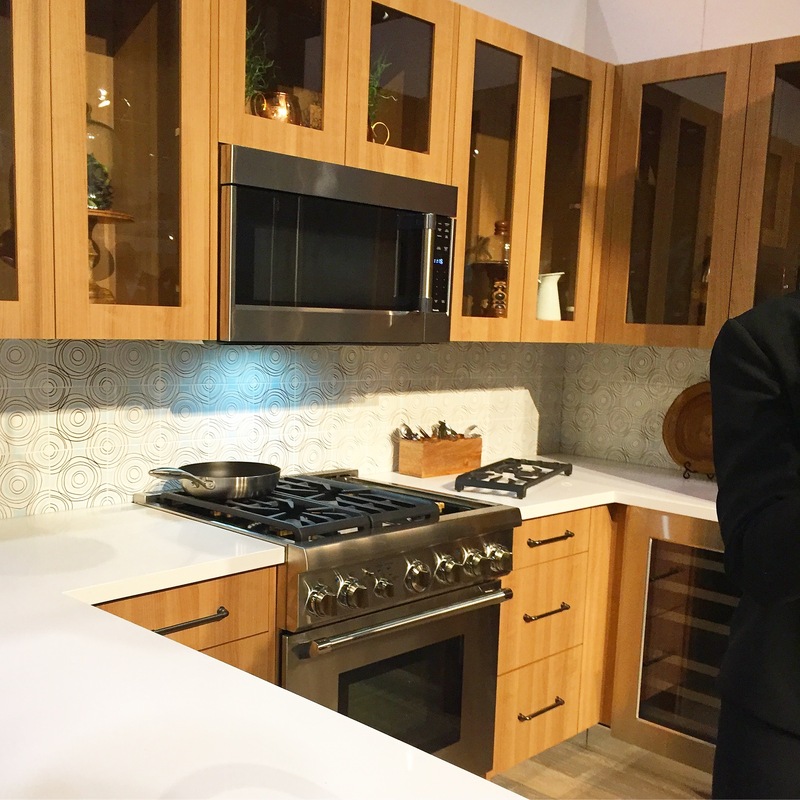 Something I’m growing increasingly passionate about is the need for luxury level small-scale products and Thermador has answered with call with their new 30″ Pro Harmony® Range. 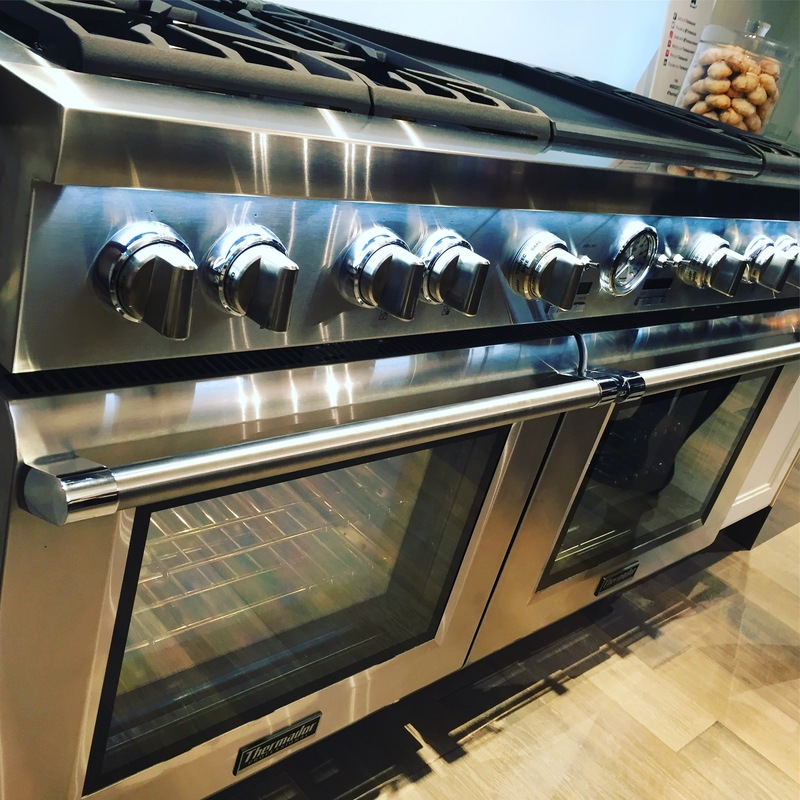 The Thermador 30” Pro Harmony® Range and a 30” Pro Rangetop offer five burners and can be installed with zero clearance, flush against a rear wall surface, and custom tile work can be installed directly behind the new 30” range and rangetop. This is due to an innovative venting technology that reduces back wall temperatures nearly 20-25 percent in comparison to similar professional-style ranges. 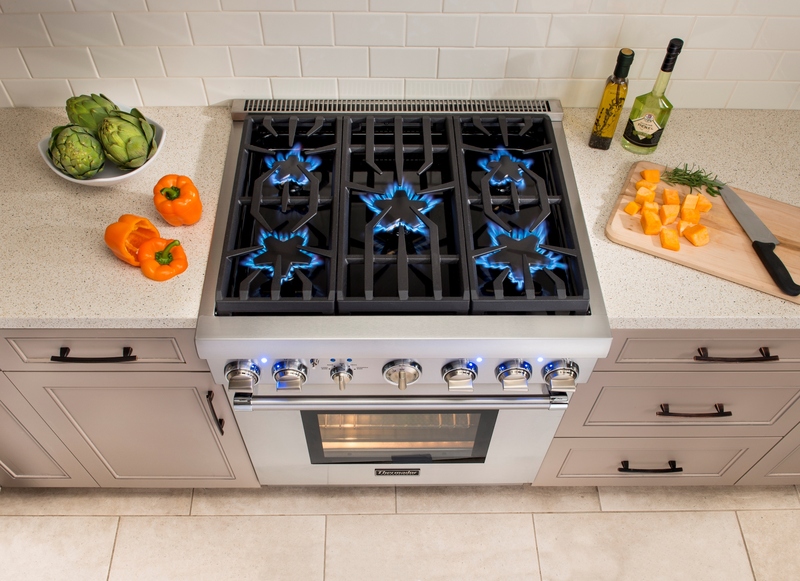 The new range and rangetop feature five patented Thermador Star® Burners, including two burners that offer the exclusive ExtraLow® simmering feature. With a surface total of 59,000 BTUs, the new range and rangetop are approved to work in low CFM or recirculation situations, enabling builders or designers creating a kitchen in a residence with strict ventilation codes to now welcome professional-style Thermador products into the kitchen – ideal in a condo or home where strict codes may preclude more than 300CFM or venting to the outside. How pretty are those Star Burners? Cooking with bling! 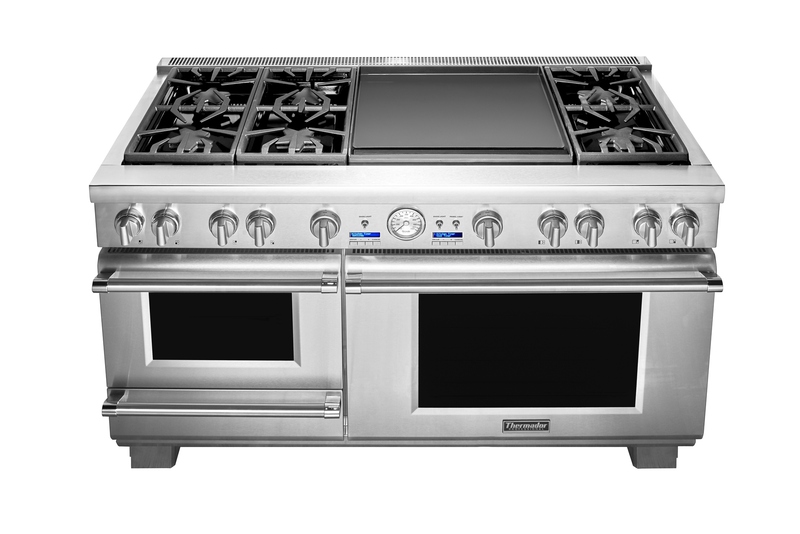 On the opposite end of the size spectrum is the spectacular 60″ Pro Grand® Range Collection. Doesn’t this just make you want to cook?!? They are the most versatile 60” professional style ranges on the market – allowing cooks to mix and match two different surface cooking options with two different oven cooking options. These ranges are designed for an ultimate entertainer whose kitchen demands cooking superiority, with three separate cooking zones that enable three people to cook on the range at once. 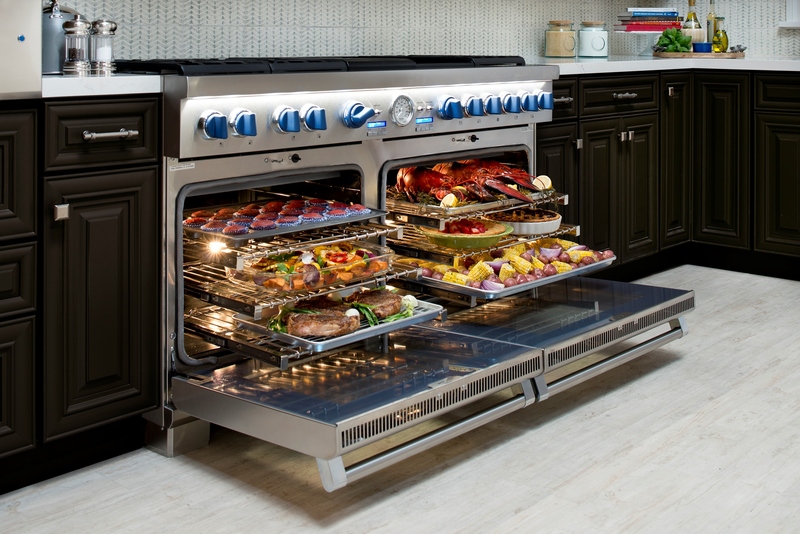 For the ovens, choose from, The Ultimate Culinary Center: a Convention Oven alongside a Steam and Convention Oven and Warming Drawer The Ultimate Entertainer’s Center: a 36” Convection Oven alongside a 30” Convection Oven – providing 10.6 cubic-feet of double oven capacity, the largest on the market. On the surface, the cook may choose from: A Professional Grill alongside a Griddle. A 24” Dual Zone Griddle, unrivaled in its size and cooking superiority, designed for even heating and easy cleaning, featuring a smooth, scratch-resistant surface. The Ranges are equipped with an innovative venting technology that reduces back wall temperatures, enabling them to be installed with near zero clearance. 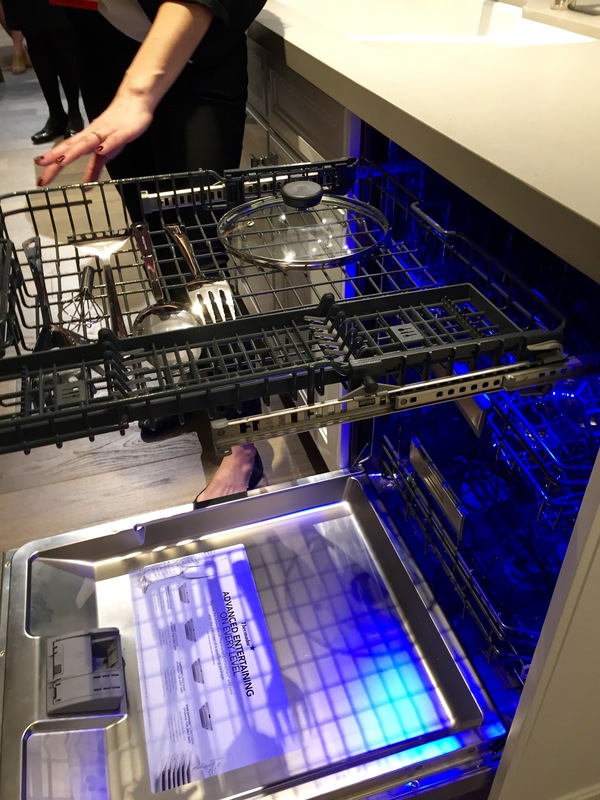 The Star Sapphire dishwasher sports a gorgeous inside blue light (sapphire blue, of course) that can also be switched to a warm white. It kind of reminded me of my Mini Cooper which it’s inside LED lights of many colors. 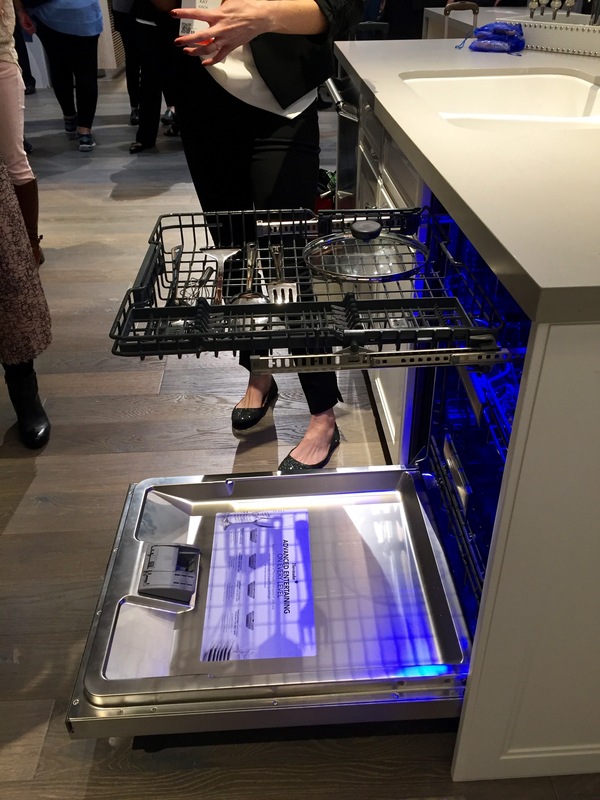 And, like the Mini, this 24″ dishwasher packs a plot of punch in a small space. My favorite feature is the Entertainment Drawer which makes great use of that empty space at the top of the dishwasher. A shallow drawers for cleaning serving pieces and pot lids. 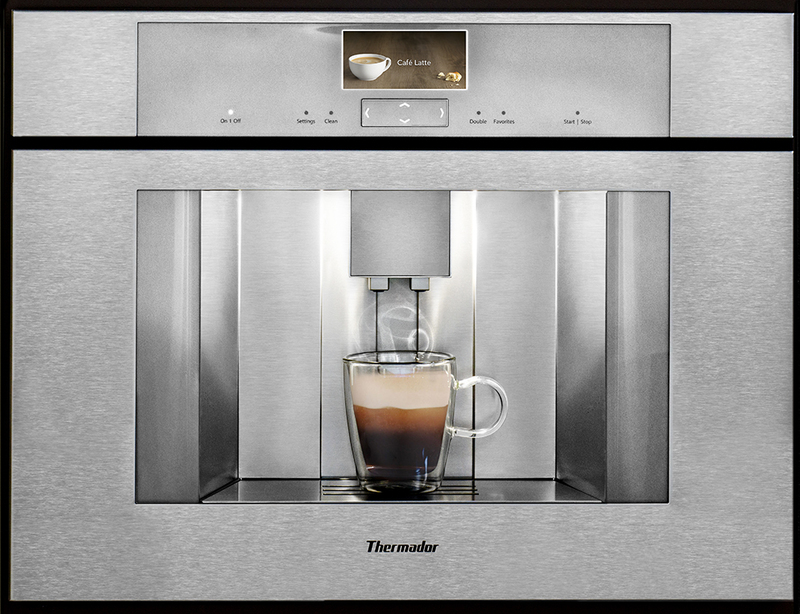 Very impressive is the self-cleaning, Thermador Espresso machine which makes 8 different coffee house style drinks in a flush install design. This deceptively simple face design hides a well-designed machine inside that stores different coffees and can dispense hot milk, foamy and frothy! And when powered down, its internal self-cleaning system both washes and steam cleans the hoses for a fresh and healthy cup every time! 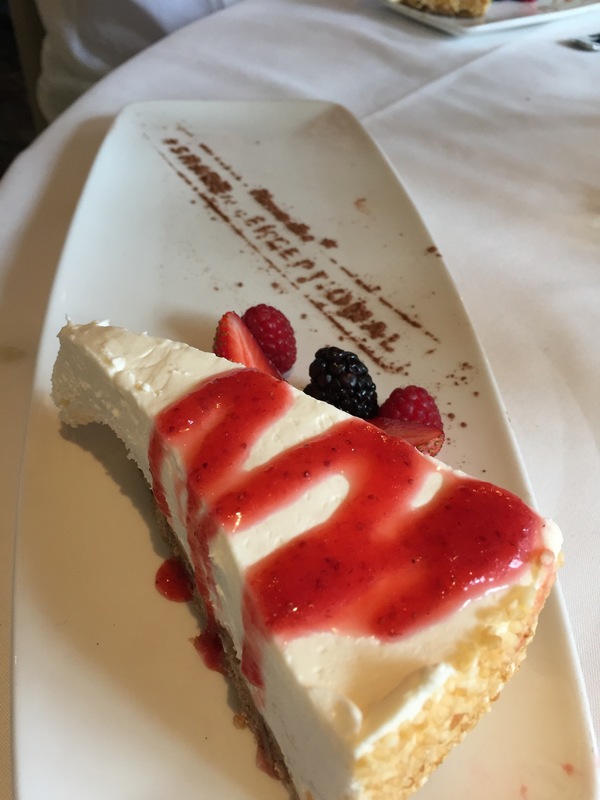 Speaking of yummy things – the nice folks at Thermador treated us to a fabulous luncheon at Del Friscos restaurant. 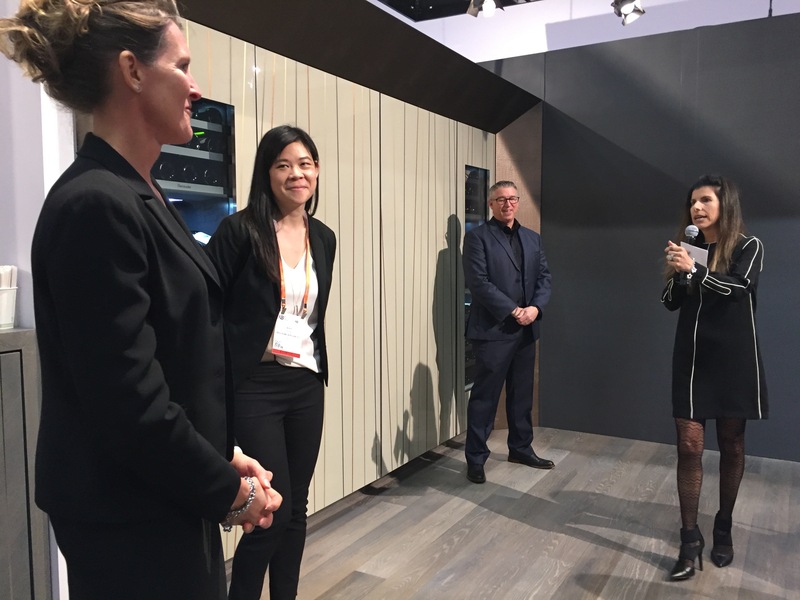 A big thank you to the folks at Thermador for being a sponsor of #BlogTourKBIS and to Modenus, the power behind BlogTour for inviting me to participate! My participation was sponsored in part by Thermador. The products featured here are of my own choosing and my opinions are my own. All photos by Linda Merrill for Surroundings, except where noted.